Winter spinach (Spinacia oleracea d'hiver): growing, planting, caring. This is for spinach you should sow at the end of the season for winter harvest - like the ‘Giant Winter’. Spinach is rich in vitamins and minerals and can be eaten raw or cooked, depending on what you like. They are far better straight from the garden than frozen or in a can (sorry, Popeye!) and they are happiest in partially shaded areas in basic, rich, or slightly clay soil that's cool. 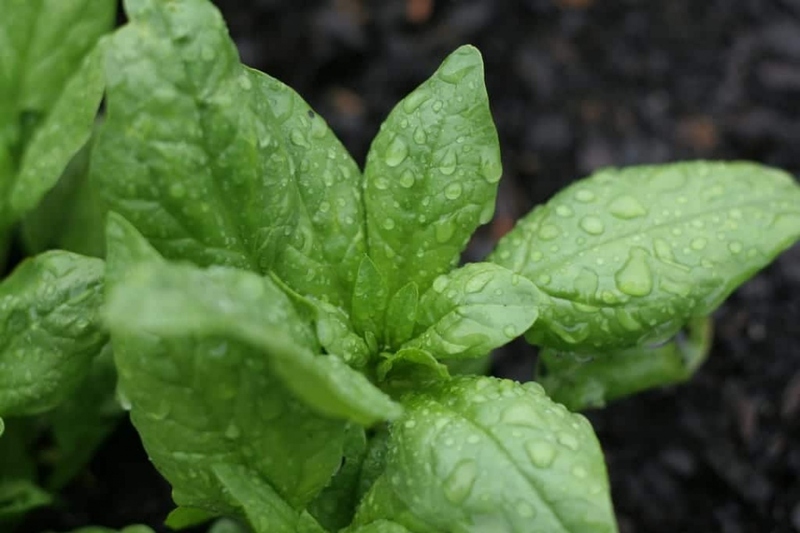 Spinach are annuals with thick leaves, alternate, petiolate, sagittate on erect stems. Summer bloom produces greenish flowers. Sow in open soil, in a cool, neutral and slightly clayey soil, in half shade, adding - if you have not done it before winter - some green manure during sowing. Sow in shallow furrows, spaced 20 cm apart, to help you to find your seedlings later. Cover with some soil, and water in fine rain. Weed and mulch between rows after thinning, you will avoid watering and weeding. Weed from time to time, especially in the beginning, and even more frequently if you didn't mulch! After emergence, thin the plants, leaving only one every 10 centimeters, to facilitate their growth. Harvest according to your needs, one to two months after sowing, by cutting the larger leaves at their base. Do not let them produce seed because the leaves would become too tough. After the harvest, it is not worth the wait: the spinach are annuals, it will have to be sown again next year! You can compost it on the spot!